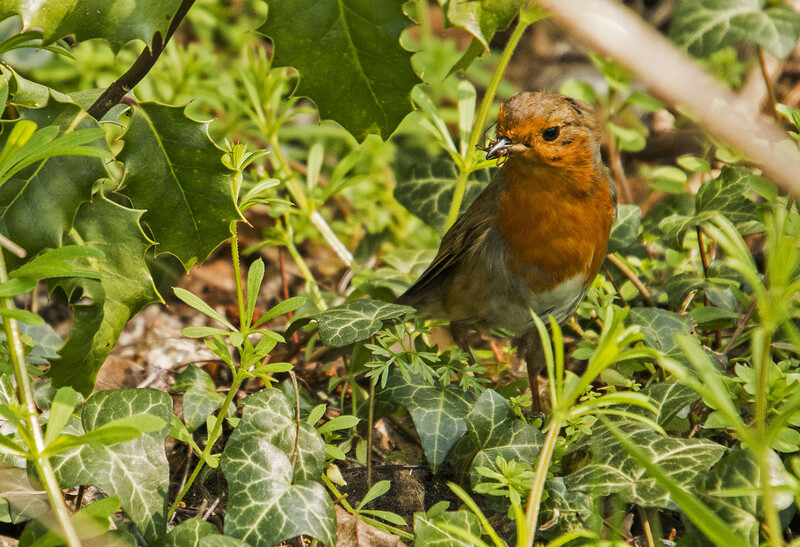 When it comes to photogaphing wild birds, robins are my preferred option. None of this loitering in bird hides or skulking for hours in the undergrowth. Just stroll along with your dog at your side, and the robin stops briefly to greet you with a present of what appears to be a spider, and then poses for long enough for us unprepared types to turn on camera, remove lens cap, and focus. I prefer to catch the birds from my house. A lovely capture in the ivy. they are definitely the most obliging bird! Gorgeous colours and a great capture. Robins are much more bold than other small birds.